Rakeback caught up with Winning Poker Network (WPN) CEO Phil Nagy just as he was taking his children to a theme park in Costa Rica where he lives. 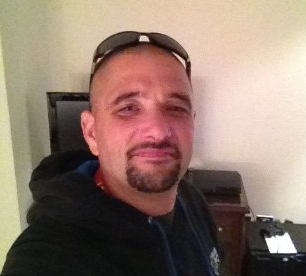 Over the course of the interview, Phil explained what he was doing to make WPN and its flagship poker room Americas Cardroom into one of the world’s most popular online poker rooms. But first, we had to talk to him about the last Million Dollar Sunday which ended up with a $225,000 overlay after play was disrupted by a vicious Distributed Denial of Service (DDoS) attack. The event was interrupted by a DDoS attack, where hackers overwhelm internet bandwidth causing players to disconnect and then have difficulty getting back online. After a previous attack when the network attempted to put on the first million dollar guaranteed tournament offered to US players since Black Friday, WPN has upgraded its defenses. Back to Phil.There is now a pause tournament feature which the organizers can bring into play. An event can be stopped for a short period to allow players who have disconnected to get back into the game. “I sent messages to the tables, saying we’re going to do everything we can to control it, but it’s going to finish. I told my team we’re going to lose $300,000 or $400,000 today, but that should build players’ confidence that no matter what happens they aren’t going to get screwed. 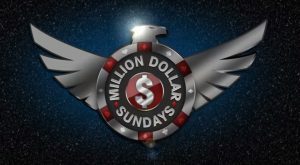 Every Sunday in October Americas Cardroom is hosting another Million Dollar Sunday. The tournament comes with a $540 buy-in and a $1 million guarantee. Rakeback asked Phil if he thought the overlay was a good way to spend marketing money. The Freebuy Super Series offered tournaments that were free to enter, but where rebuys and an add-on cost money. Each event came with a guaranteed prize pool, and 58 of the 60 events ran with an overlay. Phil is convinced the Super Series was still great value for the company. Amaya owns both Full Tilt and PokerStars. Before Black Friday, Full Tilt’s software was considered to be among the best, if not the best in the business. Recreational Player Model- No Thanks! After his comments on the importance of attracting new players while still maintaining an attractive environment for high volume players, it was no surprise that Phil did not think the recreational player model adopted by many poker rooms was likely to be successful. Rakeback asked him about the new Full Tilt Players Club which has been designed to provide random rewards to low volume players, and about the anonymous table model which is in use at Bovada, which also continues to accept US players. “Poker is really, really hard and one of the reasons it’s hard is because the margins are so much different than every other casino vertical. It’s a matter of public perception, poker players are followers, where the big game is, is where everybody goes,” he said in explaining why high levels of player liquidity are so important. In Part 2 Phil talks about Jackpot Sit & Gos, and how the regular sit & go will go the way of Limit Hold’em. He tells us to expect some big developments about the Cage, a hybrid tournament/cash game, and he explains why he is a Bitcoin fanboy.